This universal bike motorcycle phone mount is an easy way to securely fasten your Mobile Phone to the handlebar of your bicycle or under the rearview mirror of motorcyle while out on a ride. No any other tools required (Note: Before using, make sure that the plastic screws on the bracket are tightened). The holder has 360º rotating arm for positioning your device, this coupled with a fully adjustable frame grip and moveable directional ball joint means that you can attach the holder to your required position with ease. 360º Rotating deign allows you to adjust the display to the most convenient position, vertically or horizontally. This Bicycle Holder ensures that your phone always stays close at hand. Hands-free communication or GPS use during longer rides. EXTREMELY SECURE: The carefully designed clamp automatically adjusts to grip your device perfectly. 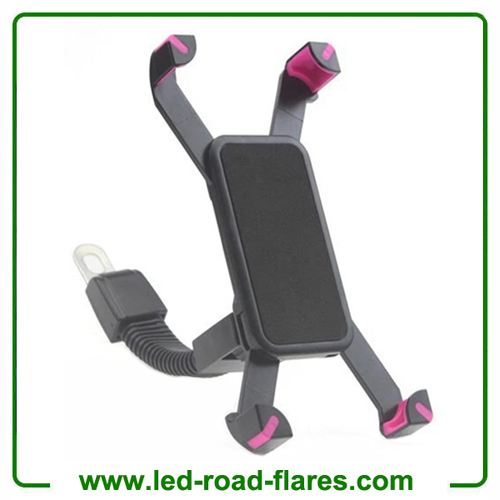 Strong adjustable clamp with silicone band straps your device in placed firmly to prevent you device fall out of bike. UNIVERSAL FIT: 4-10cm width clips and fit for most smartphone. EASY TO INSTALL AND REMOVE: No tools are required and it can be fitted to the handlebars of any bike, motorcycle, scooter or stroller. Screw the flipper to hold firmly and remove the mount easily by hand. COMES WITH 1 BAND: 1 silicone bands can be used interchangeably, grip and protect your phone in all directions. Optimal Viewing: The Mpow bike mount holder is fully adjustable to gain optimal viewing with its 360 degree rotation ball. You can easily adjust the viewing angle: up, down, diagonal, or side-to-side. Put the locking knob and silicone band through the ball head and insert it into handlebar clamp firmly. Rotate locking knob tight clockwise. Insert ball head T-notch hitch into the T-notch opening on the back of holder. Slide T-notch forward and up into the slot to lock the mounting plate in place. Press the release buttons on the back of the mount to extend the holding clip. Extend the bottom support feet. Wrap around your cellphone with silicone band. 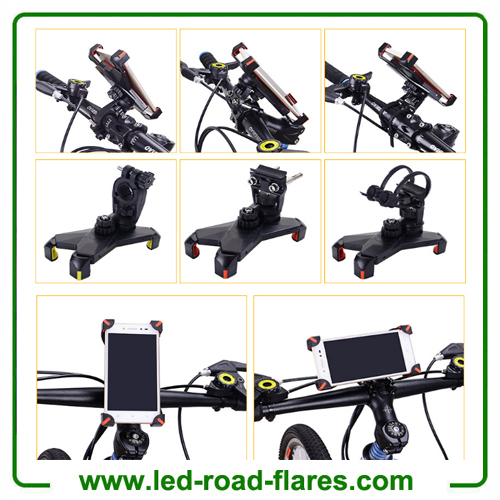 •It is suitable for varied types of motorcycles, bikes with mounting holes, including mountain bike, folding bike, road car, die coasters, etc. 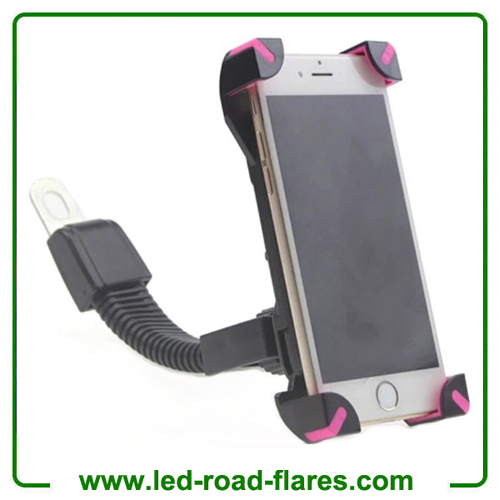 •Flexible and 360 degree rotating support holder, can provide your ideal viewing angel, and can grip your phone vertically and sideways firmly. 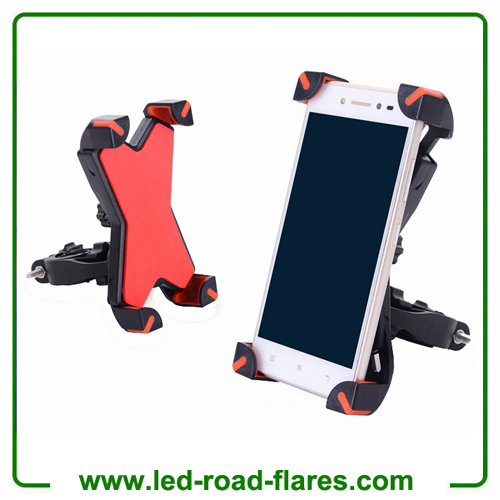 •Buckle Structure Phone Holder Guarantee your phone not falls off from the holder, and with soft protective pads for your cell phone, can keep your phone in the bike sturdy & stable. 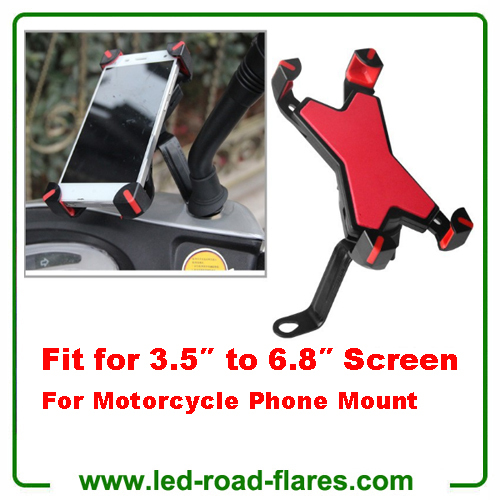 •Mainly Made of light weight Plastic, Metal material: Adjustable, Stable, and the Motorcycle phone Mount Universal for Most Motorcycle Rearview Mirrors. 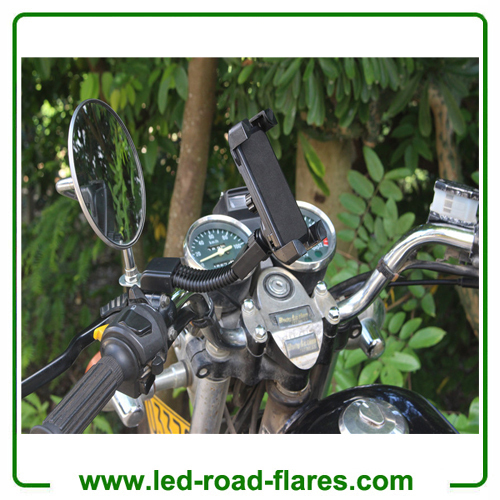 - Easy handlebar mounting for motorbikes and bicycles. 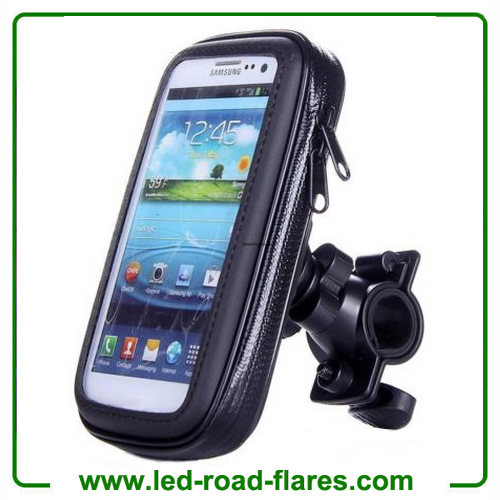 - Provides a waterproof, easy read holder for smart phones and GPS devices. - Full touch sensitivity for operation on the go without removing the case. 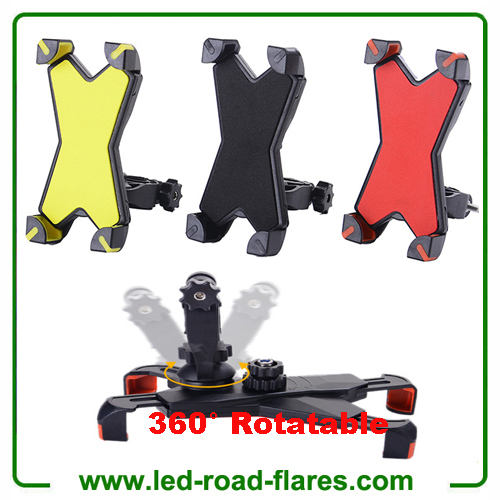 - 360 degree angled head and quick rotation for landscape and portrait switching. 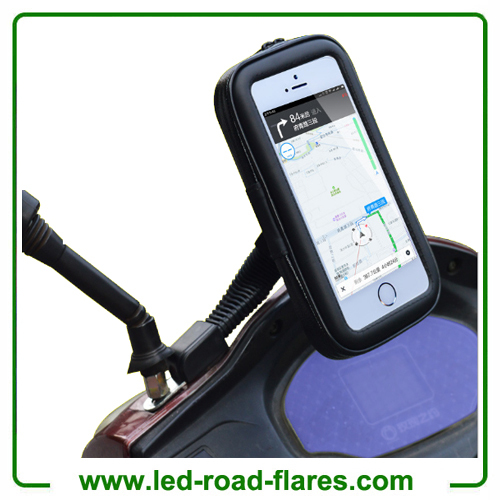 - Suitable for virtually all GPS and smart phones including Apple, Samsung, HTC, Nokia, Sony, LG, Huawei and so on. If you’re constantly cycling or on a motorbike, and rather than stopping and checking your GPS Sat Navigation or Smart Phone, you would like a universal bike phone mount, waterproof case and convenient handlebar mounting, our Universal Mount is perfect! Waterproof Universal Mount is the ideal choice! 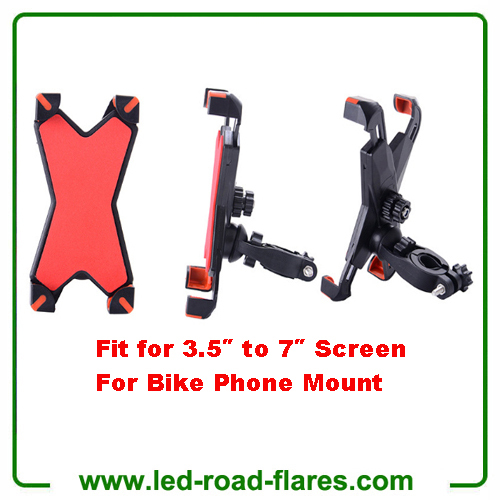 Designed for motorcycles and cyclists, our universal mount easily secures your GPS Sat Navigation or smart phone to motorcycle or bicycle handlebars, with a fully adjustable, 360 degree angled head with quick portrait-landscape switching, perfect for use with Strava and Map My Ride apps! Our Mount is designed with a super durable waterproof universal mounting case, suitable for modern smart phones and GPS Sat Navigation devices, providing a secure water and dust resistant enclosure to fully protect your device from rain, spray and debris, while providing full touch functionality without distorting your screen's colours or visuals, for quick, easy message and GPS map reading! 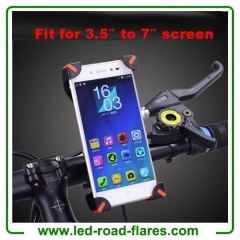 Bicycle Mount Mount Universal Bike Bicycle Motorcycles Phone Mount, Cycle Adjustable Cradle Handlebar Roll Bar for IOS Android Smart Phone, GPS and Other Devices.